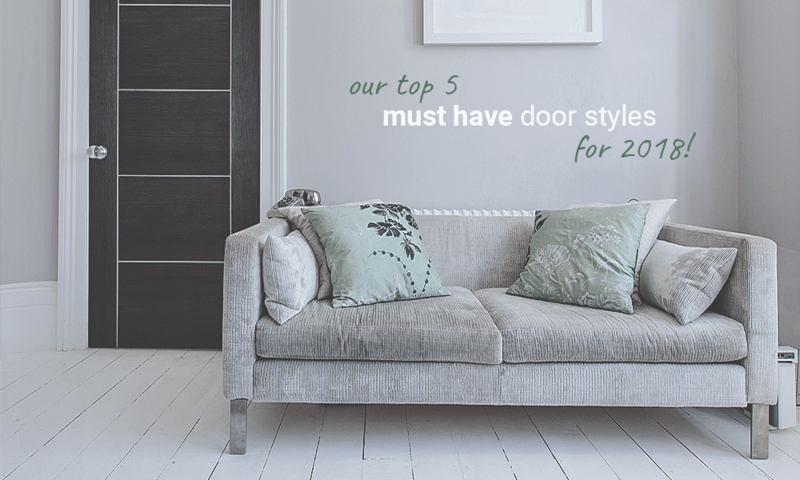 Leader Doors | BlogDoorsInternal DoorsInternal Grey DoorsOur top 5 must have door styles for 2018! We’re one third of the way through 2018 already and this year is proving to be as revolutionary as ever in the UK door industry. With hundreds of new styles available on the market every few years, choosing the right door for you can be a daunting experience – especially for first time buyers, or those of you who have never had the pleasure of choosing new doors before. 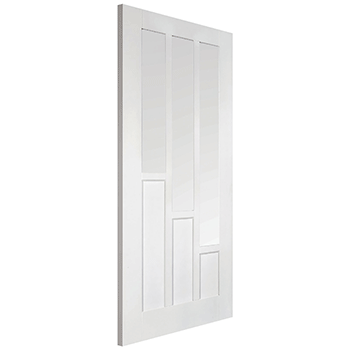 This brand new addition to the LPD Doors range boasts a simply gorgeous 3 panel / 3 light design, with descending panels left to right. This is an unmistakable door no doubt, with a truly unique look and feel. Those of you looking for something totally ‘out there’ will likely be attracted to this door, and with the 3 light clear glazed design it’s perfect for most areas of the house. Also available as a standard 6 panel non-glazed internal door as well as a fully-rebated clear glazed internal pair door, you can fit these right throughout the home, and thanks to the big range of sizes that LPD have on offer, whatever your needs, you will be able to use your doors as a focal point when choosing your interior styling. The full range of LPD Doors are available on a 3-5 working day lead time, so what are you waiting for? A front-runner for our most popular door of 2018, the Ripple design is a wonderful addition to the Liberty Doors brand. With it’s mesmerising ripple faced design, your guests will be leaving your home green with envy and we guarantee the first thing they ask is where you got them! If you like the idea of your home being the centre of attention (in a good way!) then this is the style for you. 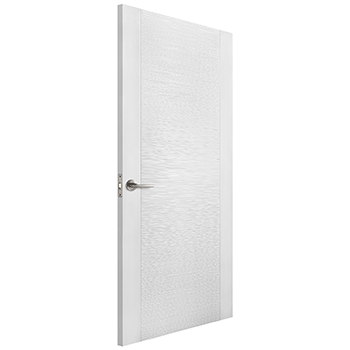 The simple semi-ripple patterned design is a textured face, covering around 90% of the front and back face of the door. Accompanied by two smooth stiles vertically down the door, the contrast is stark, yet the final effect leaves a subtle and appealing aura. This design is also available as an FD30 minute rated fire door, which is a requirement for some properties – read more here. Exclusive to Leader Doors, the Liberty Doors brand is only available online and in store with Leader. Thanks to new stock arriving every day, this collection is the perfect choice, thanks to the superb next day delivery service available on almost all of the range. Browse the full Liberty Doors collection here. When buying a new door, the number one question we get asked is “Do you sell fully finished doors?”, and the answer is yes. Nobody wants hassle when it comes to decorating, that’s why the Monet fully finished door simply had to be included on this list. Not only does the gorgeous 5 panel horizontal panel design scream ‘pick me!’, but thanks to the door being fully finished, they really are the number one DIY choice for internal doors. The luxurious finish means that the Monet is pretty much ready to hang, straight out of the box. With very minimal work involved, you can order with a peace of mind, and you might even save a few bob on fitting costs. This is a new take on an already popular design, which is sure to be a hit this year. 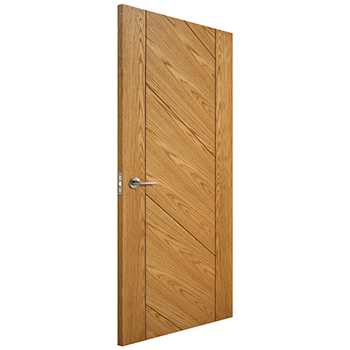 Also available as an FD30 fire door, making the door suitable for most applications. If this sounds like the door for you, why not look at the full collection of fully finished doors in the Liberty Doors range here. We know what you’re thinking, we thought it too at first! But wow, that’s what you call a striking design. The cause of a few discussions at Leader Doors HQ, this door certainly was like Marmite. Most really did love the door, others not so much, but if you’re after a real head turner then there really is no other choice at all. Introduced late 2017 by XL Joinery, the fully finished white & dark grey collection has snowballed into 2018 and we anticipate it will only get bigger. The eye-catching style is one of the most striking designs that we’ve ever seen on offer in the UK and will suit ultra-modern decors like no other. Also available as a 3 light glazed design and an FD30 fire rated door, in several popular sizes, the possibilities are endless. You can see the full range of XL Joinery cross-over doors here at Leader Doors, all available on a next day delivery service at the checkout, making ordering these doors as easy as 1-2-3. Big things are expected of laminates in 2018, with all of our major door manufacturers introducing laminate finished doors in various styles to complement their already expansive door collections. The Laminates Collection from JB Kind is made up with a selection of internal contemporary doors that have a standard LVL laminate construction, offering the look of solid wood without the expensive cost price. With the new advances in door manufacturing technology leaping forward these past few years, we fully expect that the will become a popular choice going forward. Thanks to the gorgeous finish, this door looks the part and will suit those of you looking for a darker, more professional focal point. Furthermore, this door is available as a clear glazed 1 light style, as well as a standard FD30 rated fire door variant. 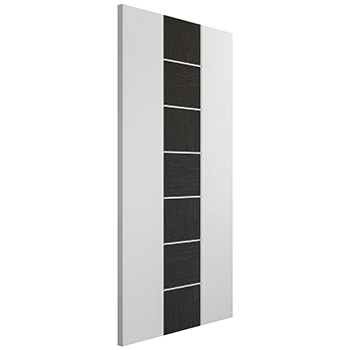 Browse the full selection of JB Kind Doors online at Leader Doors, a premier online partner of ours. Boasting a fast 48 hour delivery service on most doors, they can get the job done with time to spare, leaving you to relax. That’s all for our top 5 countdown, let us know in the comments below which door style is your favourite, and which one you will be fitting in your home in 2018!